As the hometown bank, we are proud to partner with the hometown team! Join us this season at PeoplesBank Park to cheer on the York Revolution. Catch fun activities, exciting promotions, and entertainment for the whole family all season long! A PeoplesBank Financial Center is never far from where Revs fans live, work, and play. Get the latest news on special events, promotions, and giveaways at PeoplesBank Park by visiting this page throughout the season. See you at PeoplesBank Park! 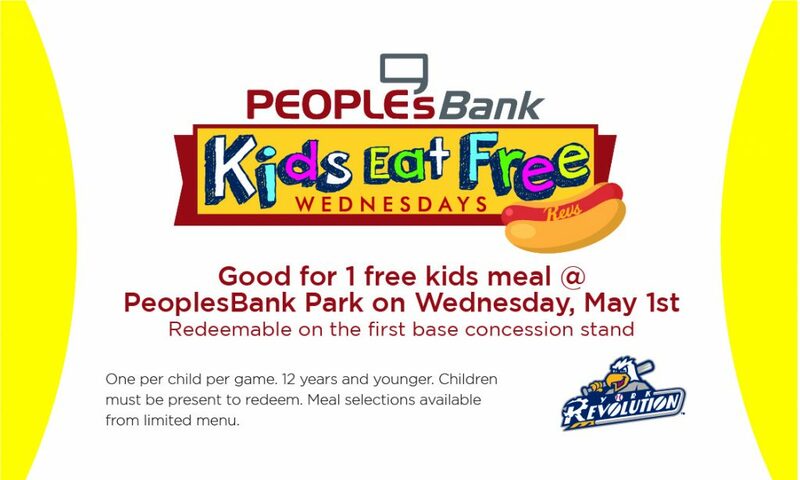 Join us at PeoplesBank Park for Kids Eat Free Wednesdays! Mark your calendars for May 1st, May 8th, May 22nd, June 12th, June 19th, July 10th, August 7th, August 21st, August 28th, and September 18th. Simply show the voucher below to redeem your free kids meal. 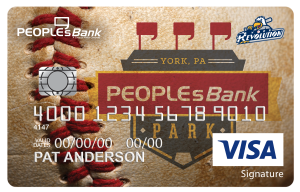 Join the Official Kids Club of the York Revolution – Presented by PeoplesBank! 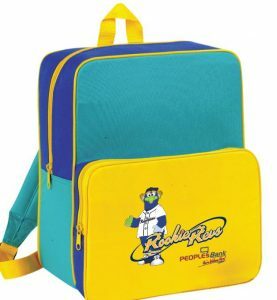 Enjoy lots of special perks and exclusive fun – and receive the official Rookie Revs gift of 2019 – a backpack! 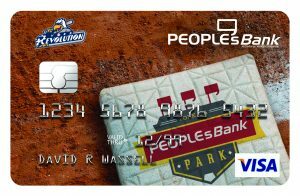 Get a York Revolution Debit Card, only at PeoplesBank. Tell the world you love the Revs while paying for gum, gas, and groceries. A baseball card you’ll never trade! Support your team and choose your option. Get a York Revolution credit card and customize it with the benefit feature you prefer. It’s your team, your terms!